Who Wants A Blue RAZR M or RAZR HD? Images Leaked Of New Versions. Take it with a grain of salt. EvLeaks has been known for being spot on in the past, but they have also passed along a few images over time that have turned out to be blatant fakes. The image above shows a Blue Razr HD, Blue Razr M, and Razr M Employee edition. Who knows if or when Verizon will release these Blue devices for public consumers. You can bet someone list their’s on ebay for $1,000 if this ends up being an employee exclusive. What do you think? 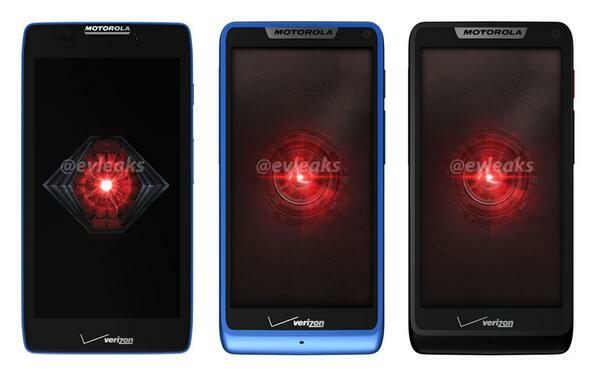 Does a blue version of the RAZR HD series support an earlier rumor that Motorola is looking to allow you to customize your device by offering tons of color options for future devices?